Sabbath Walk: Meeting One Another's Needs? TITLE: MEETING ONE ANOTHER'S NEEDS? This is the concluding part of a 4-part series on Small Groups Ministry in the Church. The key point in this article is that meeting needs of members is not the primary responsibility of small groups. Meeting needs is very much secondary. Tucked in a corner of the book of Acts is this amazing little verse that says, "There were no needy persons among them." No needy people? You've got to be kidding! In every Church I go to, every community I get involved with, the needs often exceed the supply. Some complain that the pastor hardly visits or calls on them. Others say that they feel neglected even on Sundays. Still, there are those who comment that the pastoral care in their community is grossly lacking. When they need some attention, the pastor is either unavailable or too busy. My friends in the pastoral ministry regularly tell me that they needed a break, or a time away just to recuperate from an exhausting period of meeting the needs of their members and congregations. It is interesting that the very people who try to help parishioners rest in the Lord, themselves are often the recipients of their very own advice: The need to rest in God alone. B) Is It the Colony Instinct? The book of Acts presents us with an interesting observation. Mind you, the early disciples in Acts are not rich people materially. They are often poor, and come from the lower ranks in society. Without a large personal bank account, or an enormous inheritance, they give whatever they have. If necessary, they sell their possessions to give to all who have need. 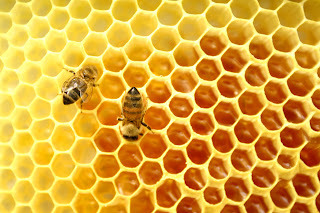 Like worker bees individually collecting nectar from flowers, they return to the common hive to contribute to the food collection for the entire bee community. 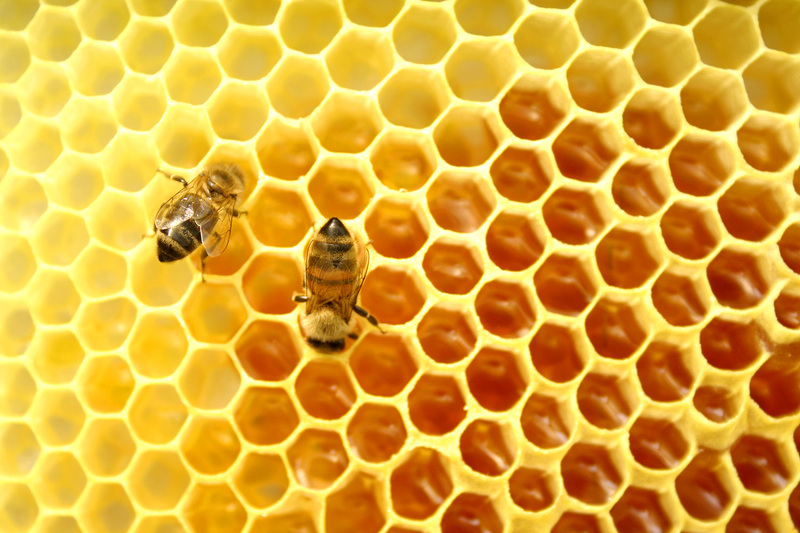 If anyone of us dares to look down on the collected nectar of each tiny bee, just take a look at the honeycomb. I always believe that as a group, we meet one another's needs at different points of time. Not everyone of us is up or down all at the same time. There will always be some who is bubbly at some time. Others may be downcast at other times. In a group, there is a good chance that there will always be a mixture of the needy and the helper. Sometimes, we are needy. Other times we are able to help others. Together, we develop a caring and sharing community that ministers to one another at different points of time. In the book of Acts, meeting needs is not the primary responsibility of the pastor or leaders of the church. The responsibility lies in the entire community who essentially "were one in heart and mind." Dr Robert W. Kellemen points out a shrewd observation on the weakness of the small group model. While many churches use small groups to provide a care-and-share method, most people in the church (up to 50%) are not in small groups. Moreover, while the small group model works better than a mere dependence on the pastoral team, the small group system fizzles out over time due to fatigue or lack of training of small group leaders. He makes this observation. Kellemen proposes something better than mere care-and-share small group networks. He recommends "equipping." This is the key role in any leadership. How did the early Church in Acts learn to meet each other's needs so well? Cursory reading may well suggest that the people basically sell all their property and distribute all to anyone in need. That is quite correct. After all, the act of sharing and giving is an act of trust. When one gives away something, one trusts God to provide in other ways. However, I see something more crucial in the act of meeting one another's needs. Before Acts 4:34, there is Acts 4:31. Bingo! Meeting another's needs is not simply a physical or emotional exercise. It originates from something very spiritual. More specifically, it originates from the Word of God, inspired by the work of the Holy Spirit. It is from the inspiration of the Spirit and spurred the early Church to preach and practice the Word of God boldly. In other words, meeting needs is not the primary role of any group. Meeting needs is a subset of something bigger: Bold proclamation of the Word. It is easy to be distracted by the needs around us (bread) that we forget the true source of help (Word). It is also tempting to try to touch every single life we meet with our modern church models, even small groups, substituting our primary responsibility (to proclaim God) with our secondary duties (meeting needs). Worse, while trying to meet needs as a primary focus, we end up trying to play the role of God. Can a blind lead the blind? Can the weary bring true rest to the needy? Are leaders really super-counselors that they have less needs than others? Let me repeat. Meeting the needs of members are secondary purposes of any small group. That is the responsibility of the movement of the Holy Spirit. The primary responsibility is the Word of God. Our role is to equip one another in the Word, to disciple one another to become more like Christ. In prayer, in coming together, in sharing, we must always have the Word of God in our midst. Otherwise, we can easily become another statistic in the unending numbers of needy ones. As we fix our eyes on God, through the Word of God, our awareness of our neediness becomes strangely dim, in the light of God's glory and grace.